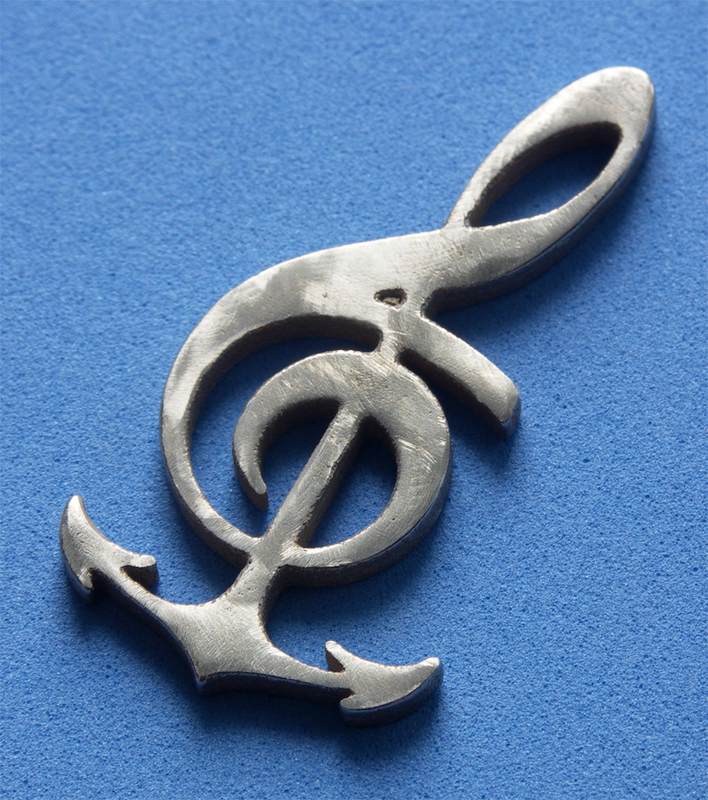 Just finished this commissioned stainless steel pendant for a buyer on CustomMade.com. At two inches in length the recessed lettering on the back really pushed the limits of the 3D printing on Shapeways.com; I had to do a lot of cleaning out of the characters. Thanks for the enquiry, Mandy. I’ll send you an email direct. Greetings I like your work in stainless steel . 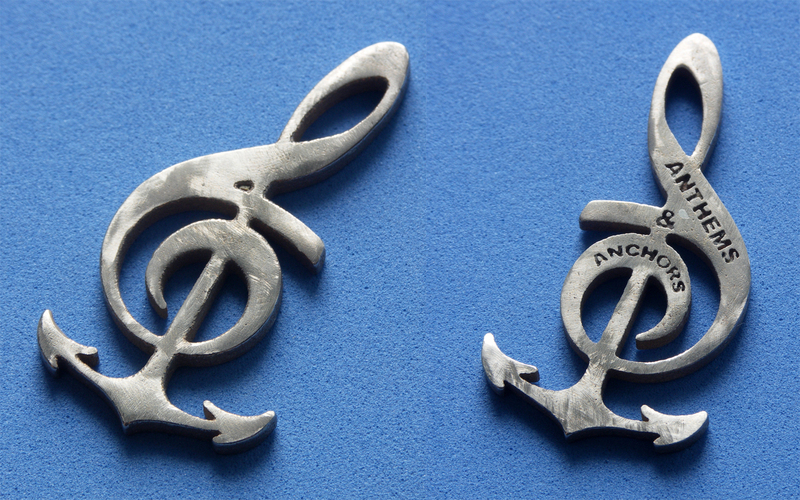 Brother I’ve been looking for someone in America that can make me two Very important pendants I saw themboth in my dream iI was wearing them . The first one is a charm of three fish the first fish is being eated by a second fish up to the head and the second fish is being eating by the thirty fish up to his head the yhirt fish is whole fish . I have s sketch of it can I send it ?can you please do it ? If so how much. Sounds possible, Clifford. I’ll send you an email. 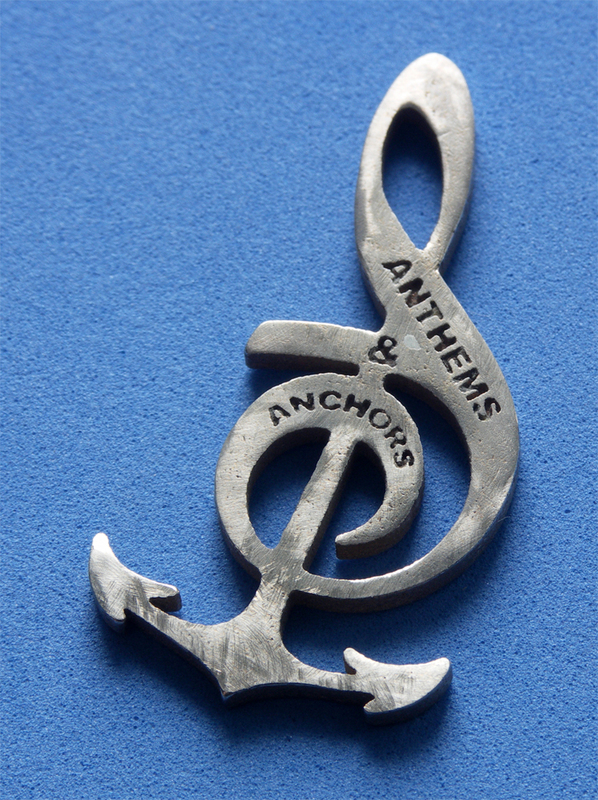 Question: My niece is very involved in music – and also collects anchor art and jewelry. When I saw this design, I immediately thought of her. Is there a way I can order it from you? Available in a range of materials from low cost acrylic in a multiple colours, through stainless steels and sterling silver. I love this! Can you do it in sterling? And if so how much? Thanks! Thanks, Sandi. I will send you an email.